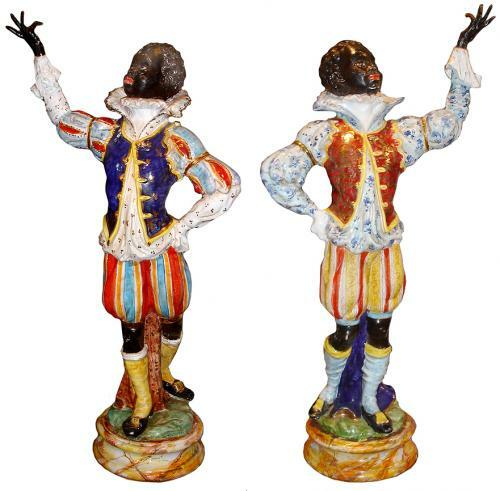 A Striking Pair of Large Venetian Blackamoor Ceramic Polychrome and Parcel-Gilt Figurines No. 3228 - C. Mariani Antiques, Restoration & Custom, San Francisco, CA. 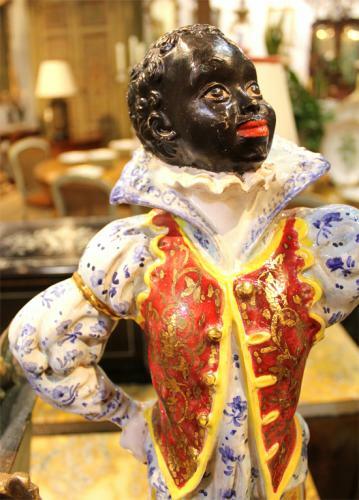 Red Vested Figure: Height: 26 1/4"; Width: 12"; Depth: 7" Blue Vested Figure: Height: 26"; Width: 13 3/4"; Depth: 8"